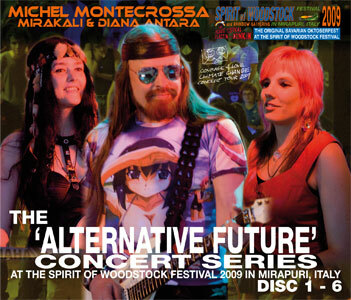 Update: On Last.fm various tracks by Michel Montecrossa are now available as full track! 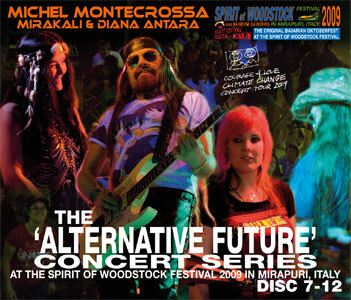 The ‘Together’ Climate Change Concert, released by Mira Sound Germany as double Audio-CD and DVD is Michel Montecrossa’s outstanding concert for Michel Montecrossa‘s Michel & Bob Dylan Fest 2010. 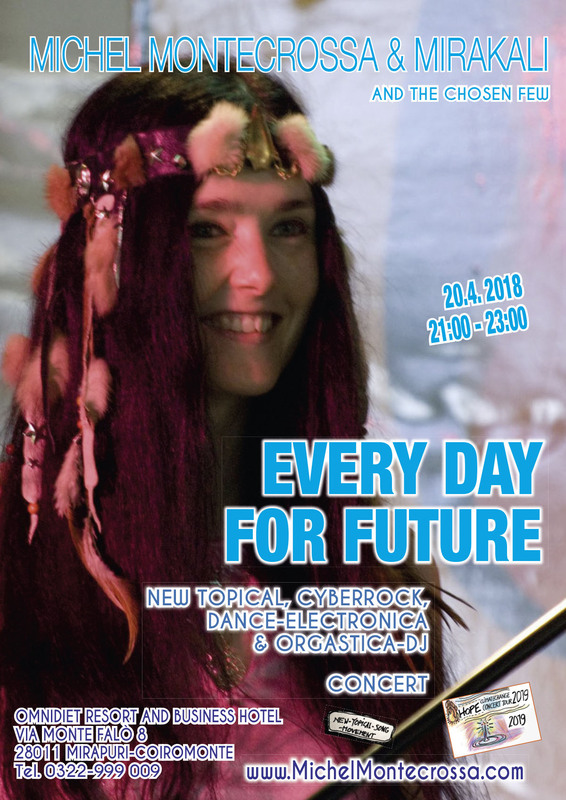 Performed in the Omnidiet Music-Hall the concert presents 32 songs including Michel Montecrossa’s title song ‘Together‘ and great songs like ‘Joy & Future‘, ‘Feelin’ Good‘, ‘Name Of The Game‘ and ‘In All There Is One Meaning‘. Michel Montecrossa’s Bob Dylan program includes killer-versions of ‘Beyond Here Lies Nothin’‘, ‘It’s All Good‘ and rarities like ‘Long Time Gone‘. 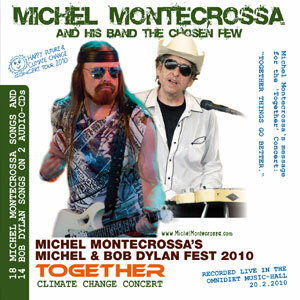 CD-Neuveröffentlichung: Mira Sound Germany veröffentlicht Michel Montecrossa’s ‘Together’ Climate Change Concert, das im Rahmen des ‘Michel & Bob Dylan Fest 2010’ stattfand, als Doppel-CD sowie Doppel-DVD. Die Tracks der Konzert-CDs & -DVDs umfassen 18 Songs von Michel Montecrossa sowie 14 Lieder von Bob Dylan, darunter u.a. alle Titel von Bob Dylan’s Produktion ‘Together Through Life’.